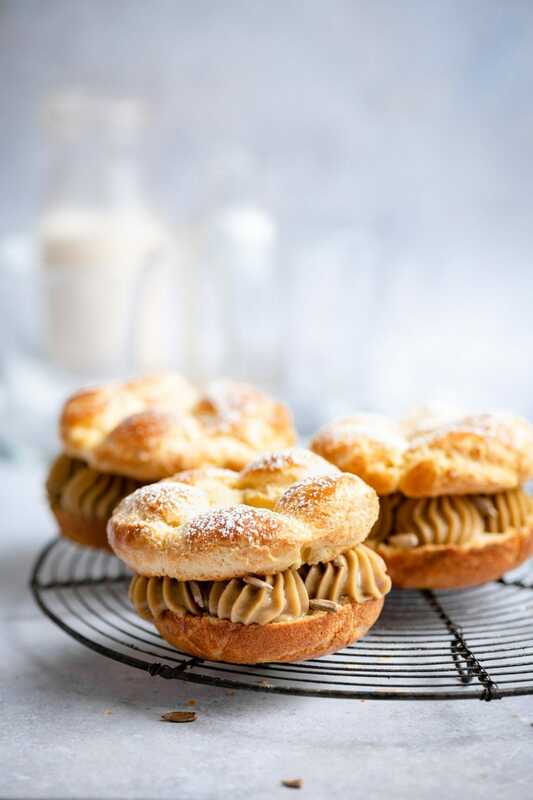 Paris Brest is a classic French Dessert traditionally made with Choux Pastry and a praline flavored cream. The pastry is piped and baked into a circular shape to represent a bicycle wheel. The wheel being indicative of the famous Paris Brest Cycle Race. All I know is its delicious and not as difficult as you might think to make. Since most french bakeries serve an almond or hazelnut cream filled version, I thought it would be fun to try something different. Creamy all natural sunflower butter was my first choice! 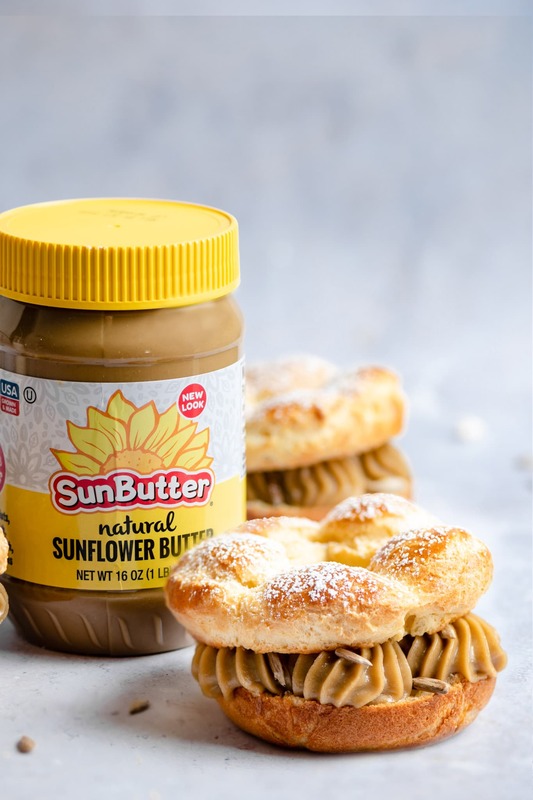 I’m so obsessed with the flavor of SunButter and knew it would be a great addition to creme patissiere for my filling. I mean seriously, I can eat this stuff by the spoonful with just a glass of milk. 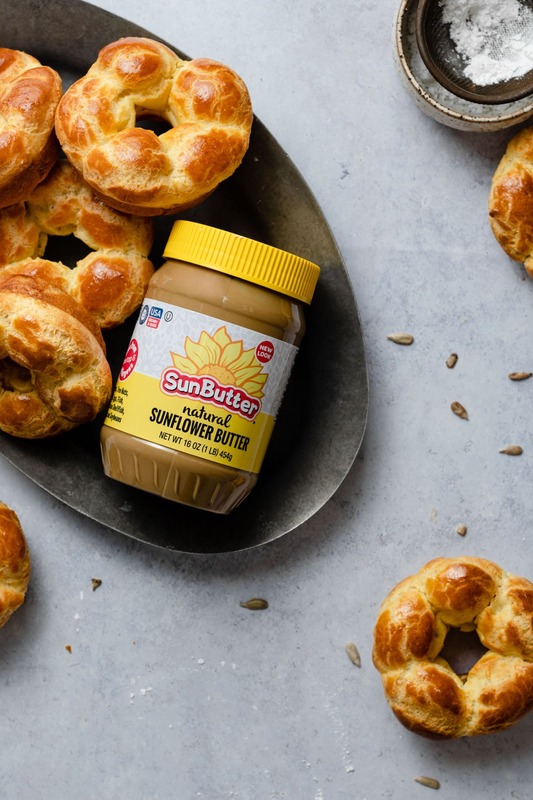 SunButter has 7 grams of protein per serving and more vitamins and minerals than most nut butters. It’s also nut allergy free. Safely processed for those who love the taste of nut butter when it doesn’t love you back. 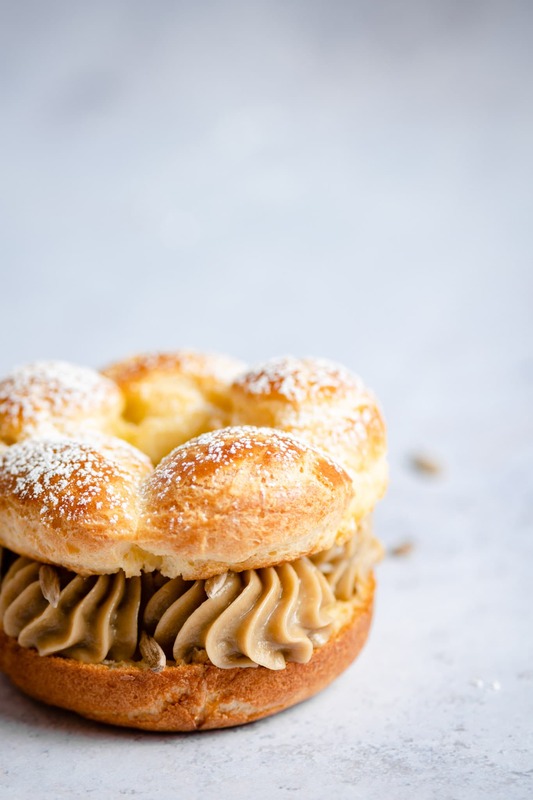 Now let’s get you started on making your choux pastry. I bet you’ve never made pastry dough on the stove before huh? Well let me tell you, you’re going want to make it all the time. 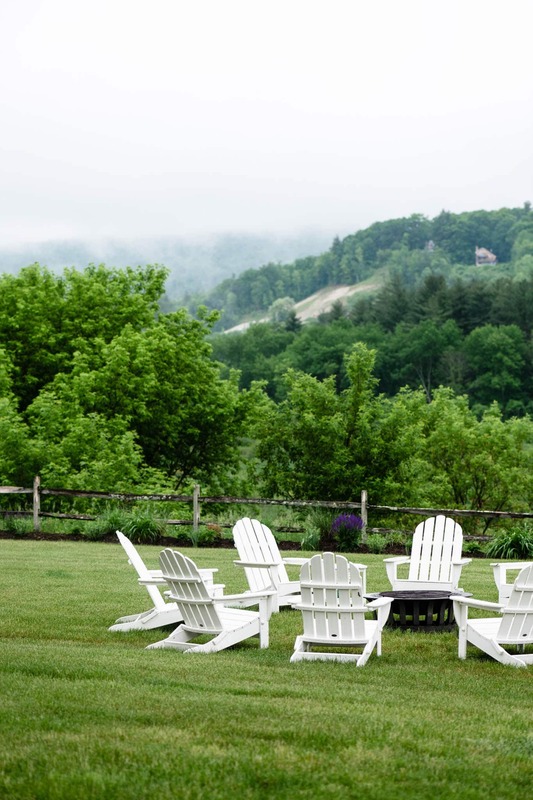 No kneading, rolling, or folding required! Simply heat the milk and butter mixture, then stir in your flour until it forms a moist ‘cookie dough like’ clump of pastry. Transfer your dough into a mixer and beat in the eggs. Boom! Spoon into a piping bag and get to work. 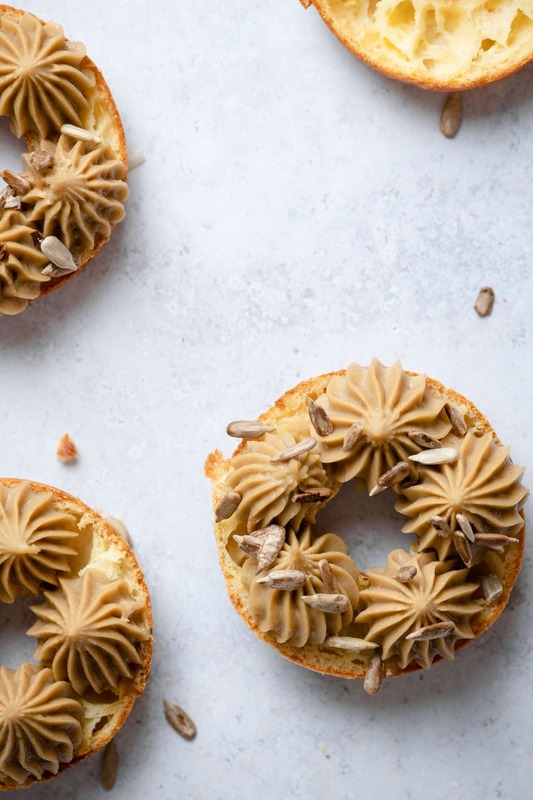 After the pastry is baked and cooling, make the sunflower butter creme patissiere. A creamy pastry filling with a rich sunflower taste. Slice the baked pastry in half and pipe circles of the cream. Sprinkle with toasted sunflower seeds, place the top of the pastry onto the cream and dust with powdered sugar. The final result is a gorgeous “pastry wheel” that should have you saying heck yes or ‘diable oui’ in French. 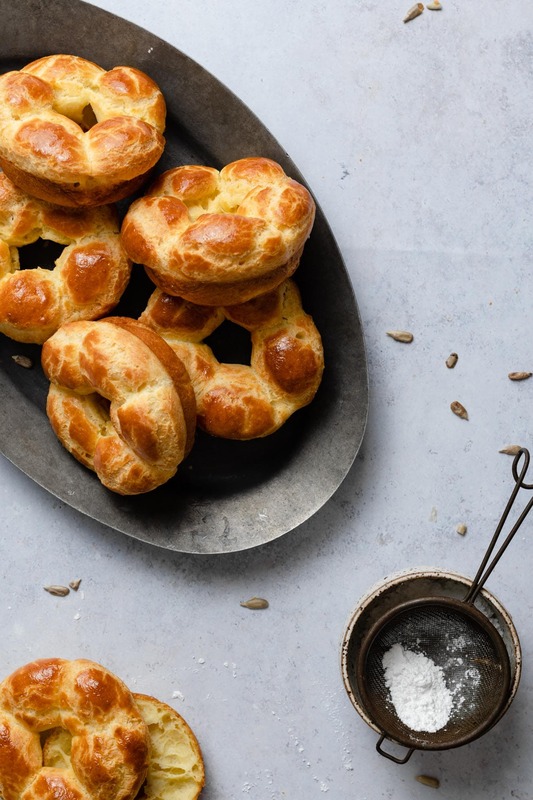 Choux Pastry dough can be made the day before and kept in the fridge or used right away. Make your Creme Patissiere the day before and store in the fridge. Add it to your sunflower butter right before piping. Use a 2 inch round piping tip to pipe your pastry. 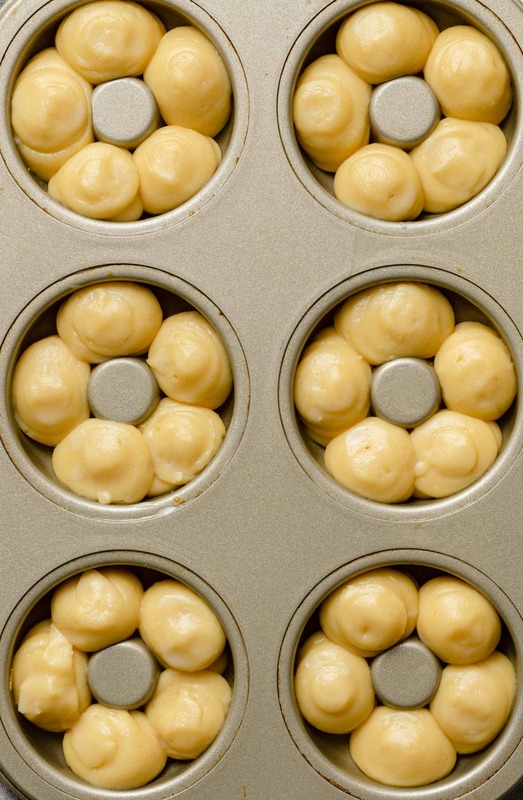 Pipe pastry into a doughnut baking tray. Spray a very light coating of non stick spray in the pan. Pipe 5-6 large round circles in a ring, making sure each circle touches. If you have a tip on the top of your piped circles, simply wet your finger with water and gently press it down to make an even surface. Gently brush with egg wash before baking. Bake pastry on the middle to lowest rack. Let pastry cool in the doughnut pan before removing. Use a serrated knife to cut the pastry in half, creating a top and bottom. The pastry should have open round pockets on the inside. Perfect for holding your piped sunflower cream. 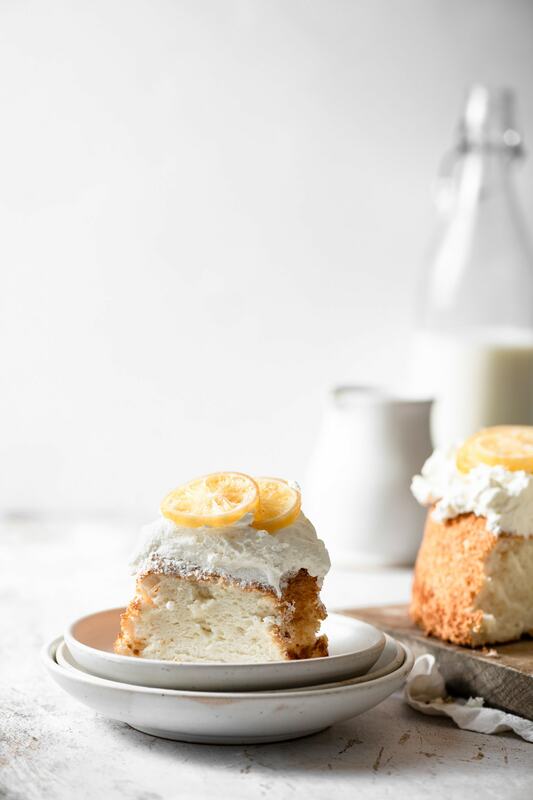 While the cream and milk are warming, whisk together your sugar egg paste. Use a large enough bowl that you can pour in the hot milk without it splashing out. Whisk constantly as you pour the hot milk into the egg paste. Then pour everything back into the saucepan on the stove. Stay on a low simmering heat continuing to stir until the cream thickens. Be patient, it will take a couple of minutes. Once its thick and has formed into a cream, remove from heat. Stir in your butter and vanilla. Scoop the creme patisserie into a wire sieve and press through into a bowl using a rubber spatula. By straining the cream, any uncooked egg or rough pieces will be eliminated. Cover the bowl of smooth cream with plastic wrap. Make sure to press the plastic wrap into the bowl against the layer of cream to prevent a skin from forming. 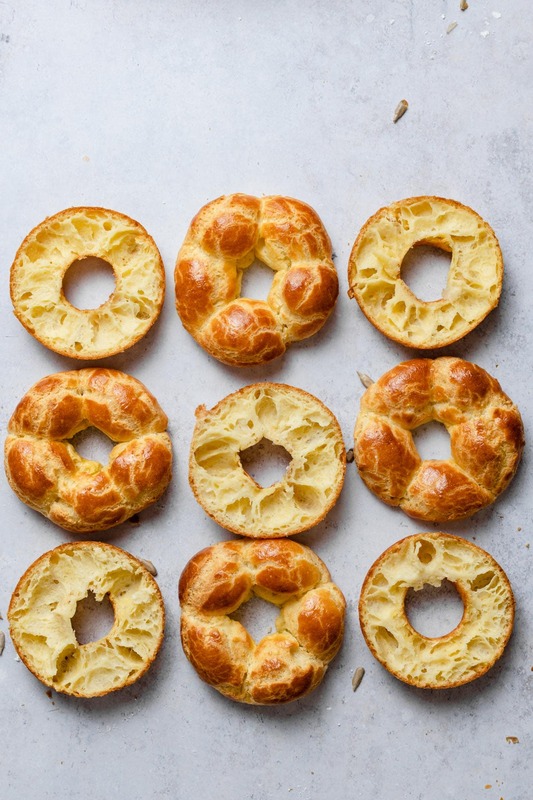 When you are ready to assemble your paris brest pastry, transfer cream to bowl of stand mixer. Add 1 Cup of Creamy Natural SunButter and mix using whisk attachment until combined. Transfer to piping bag with a 2 inch star piping tip and pipe 5-6 large round dollups onto bottom layer of pastry. Sprinkle toasted sunflower seeds onto cream and then place on the pastry top. Dust the finished paris brest with powdered sugar. 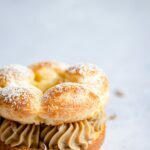 Sunflower Paris Brest is a french choux pastry dessert filled with a sunflower creme patissiere (pastry cream) and a sprinkle of toasted sunflower seeds. *make Creme Patissiere prior to baking pastry. Preheat 350 F and prepare a six doughnut baking tray. Pipe 5-6 large balls in a circular shape around the doughnut rings. *Make Creme Patissiere then place in the fridge to set. 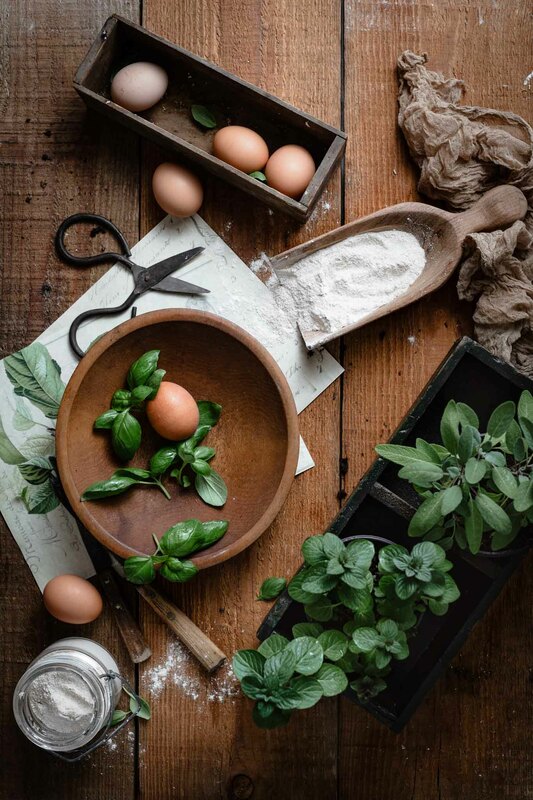 Combine eggs, flour, cornstarch, and sugar in a medium bowl and whisk together to form a paste. Remove from heat, then add chopped butter and vanilla. Transfer to bowl of stand mixer and add sunflower butter. Scoop sunflower pastry cream into a piping bag fitted with a 2 inch star piping tip. Slice baled pastry in half to create a top and bottom. Pipe 5-6 dullops of sunflower cream in a circle on bottom half of pastry. Sprinkle toasted sunflower seeds onto cream. Place top of pastry onto cream.